VanBragt.Net Consultancy BV is a freelance firm started by Wilco van Bragt in 2008 with the primary focus on virtualization. Wilco is active in the following expertises: Server Based Computing (SBC), Virtual Desktop Infrastructure (VDI), OS virtualization, application virtualization and user environment management (UEM). VanBragt.Net Consultancy is active in the Netherlands and Belgium. VanBragt.Net Consultancy BV delivers knowledge to the principal on a temporary basis. Because VanBragt.Net Consultancy BV does not sell hard- or software, which guarantees complete independently. The Advice is fully tailored to the needs and wishes of the principal. More information about the services of VanBragt.Net Consultancy can be found here. VanBragt.Net Consultancy BV adds value though the extensive technical knowledge, enthusiasm and empathy of the owner and founder Wilco van Bragt. Wilco van Bragt has more than 15 years of experience in various facets in ICT. Since 2000 the primary focus has been virtualization primarily using Microsoft and Citrix technologies in the role senior technical consultant, architect and/or as technical project leader for several (large) customers. VanBragt.Net Consulting BV is operating out of the Breda / Tilburg area. All experiences and knowledge of Wilco can be found in his resume. • VanBragt.Net Virtualization, personal website where virtualization based artciles, white papers, reviews of (free) products are published. • Presentations on (independent) conferences like E2E VC, BriForum, Citrix Synergy, Heliview, DuCUG en NGN. • Author on well-known website like BrianMadden.Com, Dabcc.com and Virtualizationadmin.com. 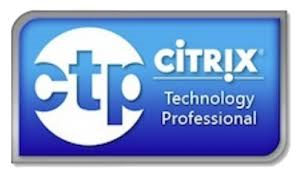 For his dedication to the community Wilco has been awarded the titles RES Valuable Professional, Citrix Technology Professional (CTP) and a Microsoft Most Valuable Professional (MVP) on RDS.